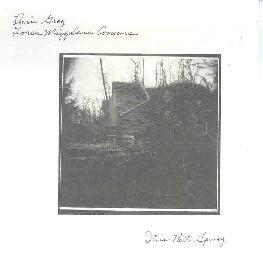 Darin Gray / Loren MazzaCane Connors - "This Past Spring" / Loren Connors - "The Departing Of A Dream"
Listening to these CD's hot on the heels of the of the San Agustin album, also on Family Vineyard (see review this issue), I was struck by the radical contrasts between the two. I only mention the San Agustin release here because for a sparse duo guitar performance it left me wanting... and now that void has been filled. This Past Spring documents a live performance and features Connors on guitar and Gray on bass. The wildly prolific Connors has performed with a range of fellow guitars including Keiji Haino, Thurston Moore, Henry Kaiser, and a slew of others. Like these artists, Connors excels at creating formidable passion and tension, in this case with a less-is-more approach to the guitar. Tender melodies, mighty drones, and searing acidic notes are all characteristic of his style, and accompanied by the light touch of Gray's jazzy ambient bass lines we have a solid performance from two well paired artists. The instruments truly "sing" as the musicians utilize a variety of sounds, tones, atmospherics and melodies, all producing the feeling that I was listening to songs. The set is only 36 minutes long, but is played pretty much continuously and will leave listeners feeling satisfied. As of The Departing Of A Dream, Connors' latest release, he has decided to drop the "MazzaCane" from his name. 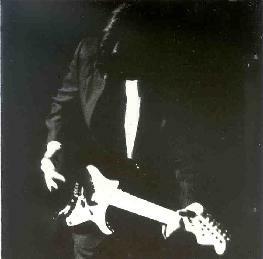 A solo effort, Connors is credited with guitar, percussion, and sounds. The first 8 tracks make up the title suite. Connors plays slow, dreamy guitar lines with a bubbling psychedelic effect that I enjoyed. Things get harshly acidic at times, though it serves to raise the intensity level rather than being overpowering. We also hear the valium-paced but melodic style that characterized the This Past Spring set. Various sounds crop up intermittently that sound like clattering tools or perhaps a ghost dragging chains about. I like the haunting atmospheric effect it creates. The last two tracks are the "The Silence" and "And Sorrow" parts of Connors' "For NY 9/11/01", a somber piece that serves as a fitting close to the set. Both of these discs are testaments to the beauty of the guitar in the caressing hands of an artist more concerned with lyrical statements than proficiency. For more information you can visit the Family Vineyard web site at: http://www.family-vineyard.com/. Contact via snail mail c/o Family Vineyard; PO Box 2161; Bloomington, IN 47402.